Fast and easy-to-use flyer creator enables people to create all kinds of flyers they want within several mouse clicks. 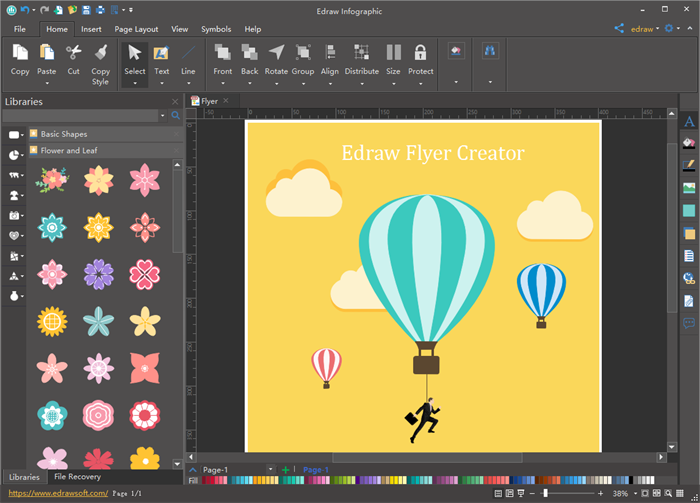 Edraw flyer creator offers various titles, text blocks and other symbols needed for users to drag and drop. 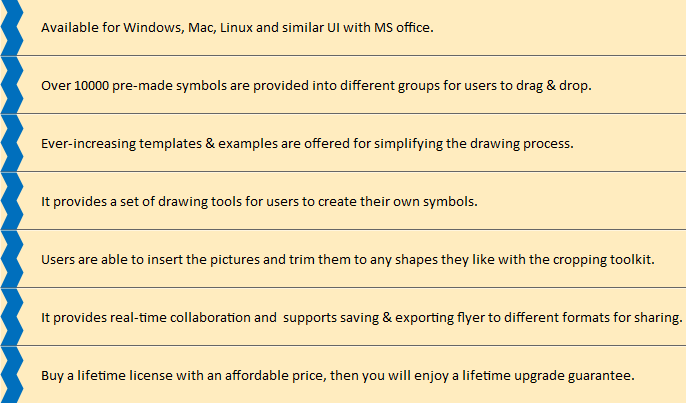 It also provides many templates and examples for users to start drawing quickly. 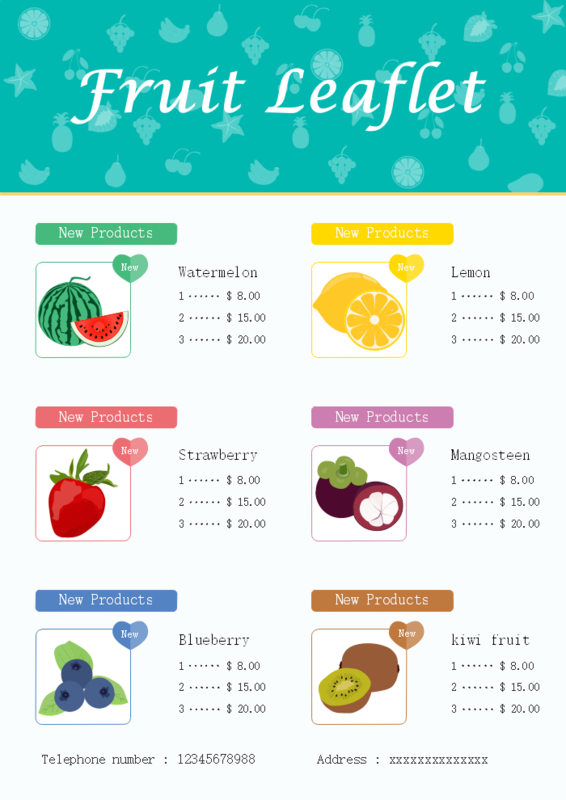 And it keeps updating new flyer symbols and templates, why not have a try? Flyer is usually used by individuals, businesses, not-for-profit organizations or governments because of its following advantages. Flyers provide a great platform to promote special events and reach your audience by door to door mail drop, newspaper insert, street distribution or instore distribution. Flyers are easy to read because they are designed to attract attention, build interest and get the customer to buy the product or service. They are cost-effective and save lots of advertising budget. 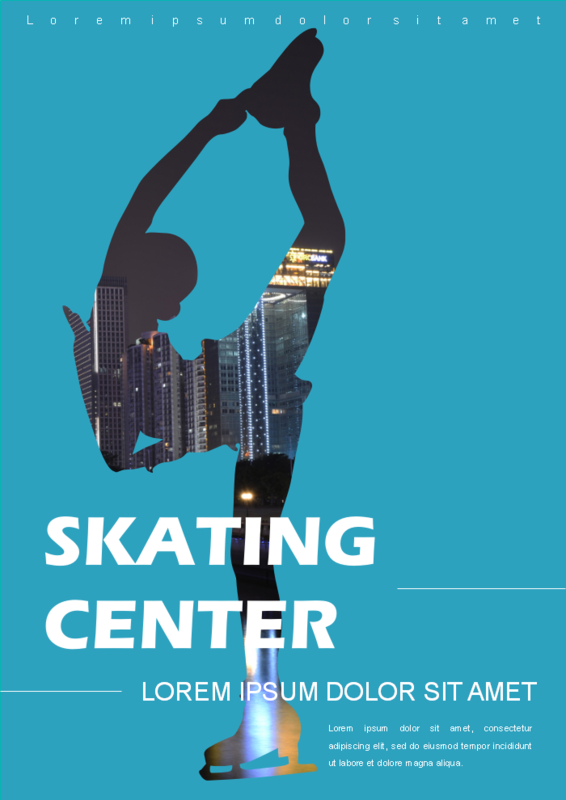 Here lists several flyer examples created by Edraw flyer creator for your reference. Welcome to download! 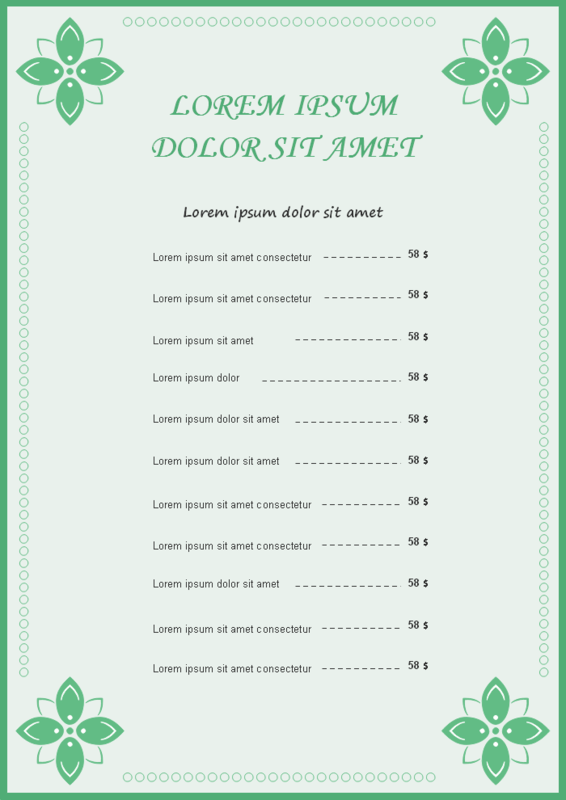 Download Flyer Creator and Use 10000+ Elements! Want to use 10000+ built-in flyer elements? Download Edraw Flyer Creator! It lets you create flyers without professional skills. Design a beautiful flyer is just a few click away. Try it now!